Whether you’re trying to lose weight or just want a few fresh healthy snack ideas to add to your rotation, we’ve got some delicious options you’re guaranteed to love. Healthy eating experts Erin Palinski-Wade, RD, author of Belly Fat Diet For Dummies, and Molly Morgan, RD, author of Drink Your Way to Gut Health, share their craving-busting noshes under 100 and under 200 calories. Here’s what to eat when hunger strikes, whether you’re craving salty, crunchy, sweet, savory, cheesy or spicy. Air-popped popcorn: Make three cups of air-popped popcorn when you want a filling, crunchy mini-meal. This whole grain makes a great snack alone or can be topped with cinnamon for a sweet treat or chili powder for hot and spicy flavor, says Palinski-Wade. Low-fat cottage cheese: Dig into 1/2-cup low-fat cottage cheese. 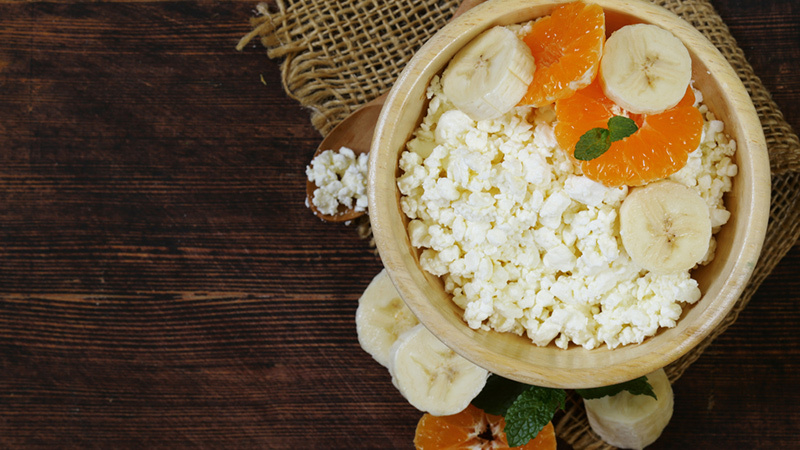 With only 90 calories and 13 grams of protein per half-cup, cottage cheese is an excellent way fill up, says Palinski-Wade. This snack can be sweetend with berries or sprinkled with sliced avocado, fresh basil leaves or your favorite dried herbs. Apples and cheese. Pair a Laughing Cow Mini Babybel Light cheese wheel with a sliced apple. The cheese has six grams of protein and 20 per cent of your daily calcium. Carrots and hummus. Pair delicious and easy-to-transport baby carrots with two tablespoons of hummus (50 calories) for a snack rich in complex carbs and healthy fats, suggests Palinski-Wade. Dark chocolate. Chocolate lovers can stick to a healthy diet and indulge! One ounce of antioxidant-rich dark chocolate (at least 70 per cent cacao or higher) is about 170 calories and may help protect your heart, according to research. Cashews. 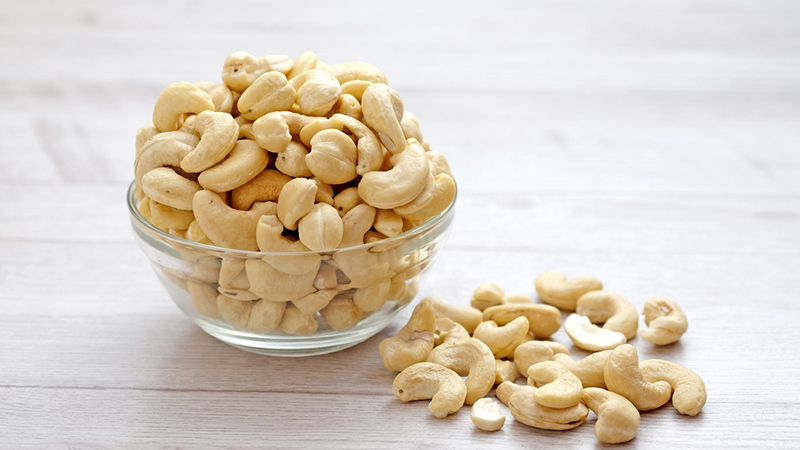 Nut lovers can satisfy a sweet and spicy hankering with packaged cashews, suggests Morgan. She likes Sahale Snacks Sing Buri Cashews, which have only 120 calories in a 1/4-cup serving. Wasabi edamame. If you’re into spicy food, add spicy dry-roasted edamame snacks to your stash. Roasted wasabi edamame contains only 140 calories per 1/4 cup, but has 7 grams of fiber and 14 grams of protein, both of which can help fill you up, says Morgan. Celery and nut butter. Celery sticks are a very low-calorie way to enjoy crunchy veggies and your favorite nut butters. Serve up two tablespoons of protein-rich peanut butter with one large stalk of celery, sliced into sticks, for a 200-calorie snack. Try unsweetened, all-natural, nut butters, which have no added sugar and preservatives and are much better for you than the sweetened variety, suggests Morgan. Open-faced toasted cheese sandwich. Enjoy a guiltless toasted cheese “sandwich” for only 130 calories! Preheat the oven to 350°F. Top half a whole wheat English muffin with 1 ounce sliced light cheddar cheese and sprinkle with garlic powder. Place the cheese-topped English muffin on a baking sheet and bake for three to five minutes, or until the cheese is melted. Sweet potato fries. Swap fast food French fries for frozen sweet potato fries, like Alexia’s Crispy Sweet Potato Fries with Sea Salt which clock in at 140 calories per 3 ounce serving (about 12 fries). Or, make your own baked sweet potato fries, suggests Morgan. Preheat the oven to 450°F. Slice a small sweet potato, and place slices on a baking sheet (prepared with nonstick cooking spray), then bake for 20 to 30 minutes until tender and crispy. Season lightly with sea salt.